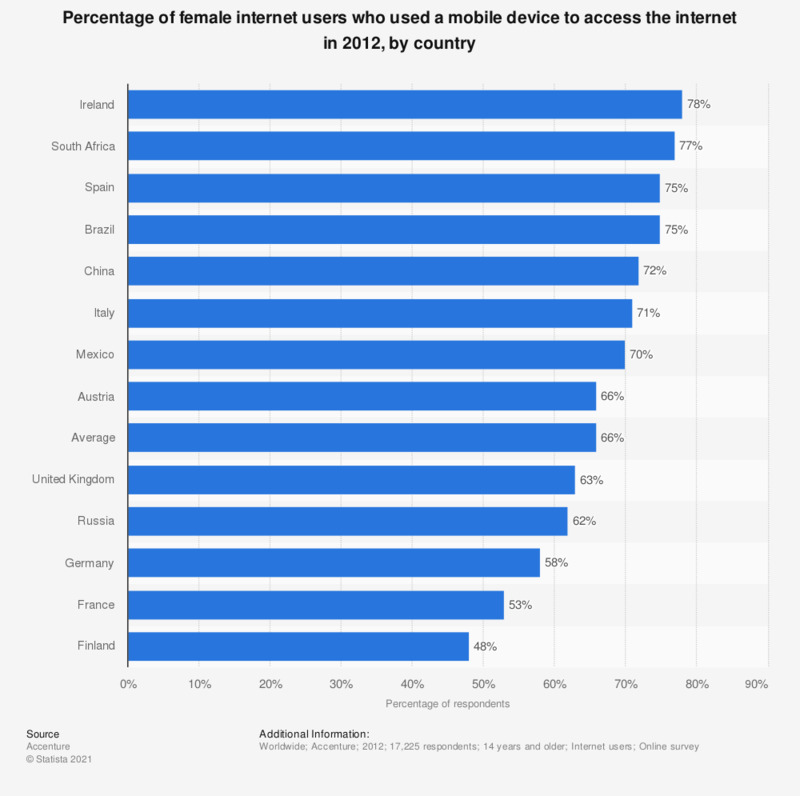 This statistic gives information on the percentage of female internet users in selected countries who used a mobile device to access the internet in 2012. During the survey, it was found that 75 percent of female internet users in Spain had accessed mobile internet services. The source does not specify the survey period.